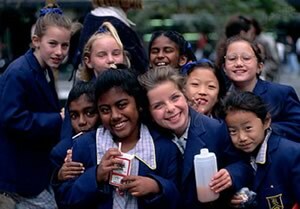 The single overwhelming theme of multicultural Australia is Unity in Diversity. For more than two centuries, the combined effort of immigrants and those born in Australia have helped make our nation one of the world’s most successfully diverse societies. This compares with 11.4% in the USA, and 18.4% in Canada. 43% were either born overseas or have one parent who was. Harmony is the cornerstone of Australia’s development as an economically strong and peaceful nation. Australia is a country that values its diverse cultural heritage and reflects it in a fresh and cosmopolitan national outlook, making Australia one of the greatest multicultural success stories in the world today. Although English is Australia’s national language, the cultural diversity within the population has resulted in over 200 languages being spoken in the community.